It is May and according to our host the first really warm day of the year in Stockholm. Work hours have been over for quite a while now and despite the late hours the sun is still up in the sky. Yes, Midsommar is coming. The streets are full: The Swedes enjoy the „evening“ sun, the warmth, life. 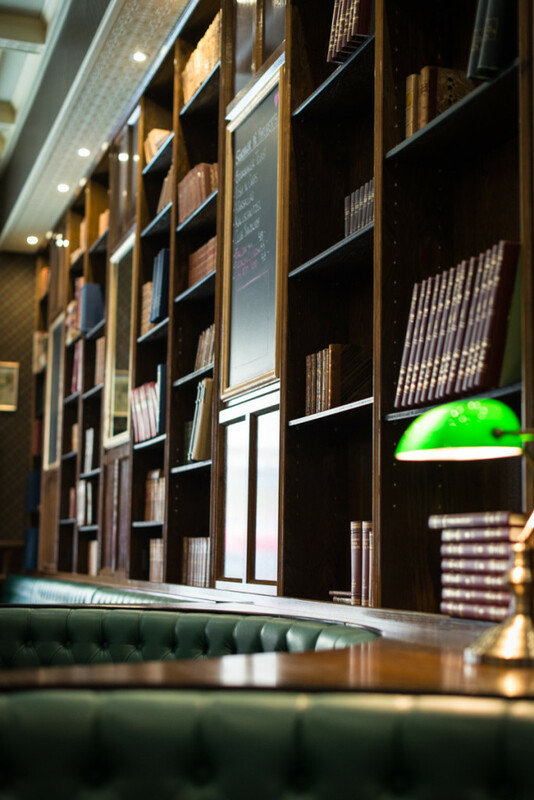 The cafés are full, the pubs are buzzing with conversation, with catching laughter. And Mr Zuckerwatte and me are right in the middle. Almost a full week in Stockholm lies behind us now – five days of relaxing, long walks on foot, a lot of good food and new impressions. 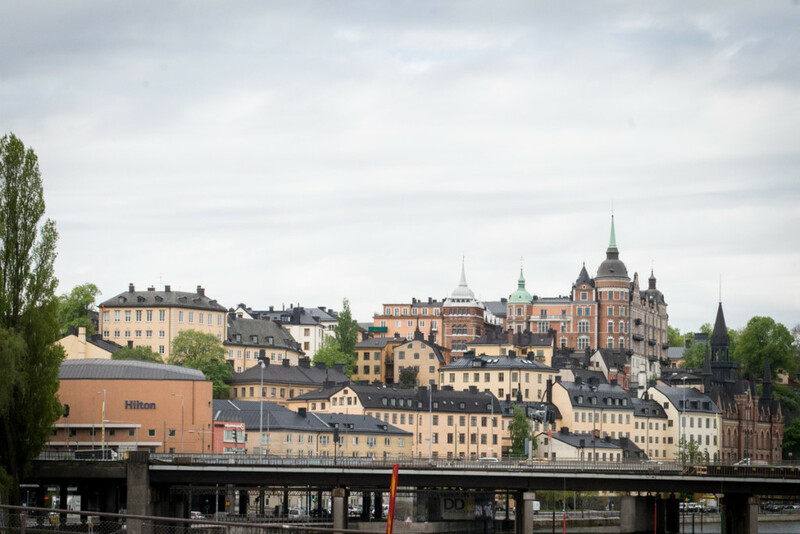 Yes, Stockholm is beautiful. And delicious! 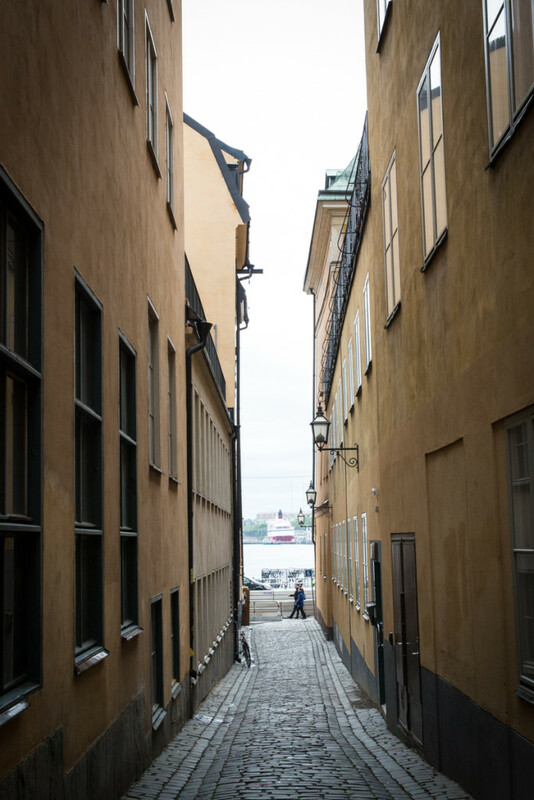 If you have the luck to find an apartment right in the most gorgeous quarter Södermalm, that is also directly in front of a Tunnelbana station and just a few minutes away from the old town, the vacation is already perfect. More than ever if the weather plays along. And like every single time when I visit Sweden I undergo quite a dramatic change. At home the dispraiser of sweet stuff I mutate – on the second I put my food on Scandinavian ground – to a bun monster. I sniff them from kilometers away, attack the confectionaries with slightly quirky eyes and would like to move in immediately. To spent all the eternity on earth giggling and bathing in the smell of pure happiness: the fragrance of cinnamon, sugar and cardamom. Needless to say that this time went exactly the same way and so I ended up eating not one but two sweet buns every day. With a few positive results at once: 1. I don’t have to worry about my fat reserves for the end of the year. 2. The baggy trousers fit again. Yay! 3. The Serotonin level has risen up quite a bit. Always nice! And finally: I now know where I can eat the best buns in Stockholm. Chic Konditori, Swedenborgsgatan 1. Right in the middle of Södermalm and directly behind a small park with a few benches and a nice meadow. Go there in the (after-)noon, order a coffee and a bun of your choice. Just great. 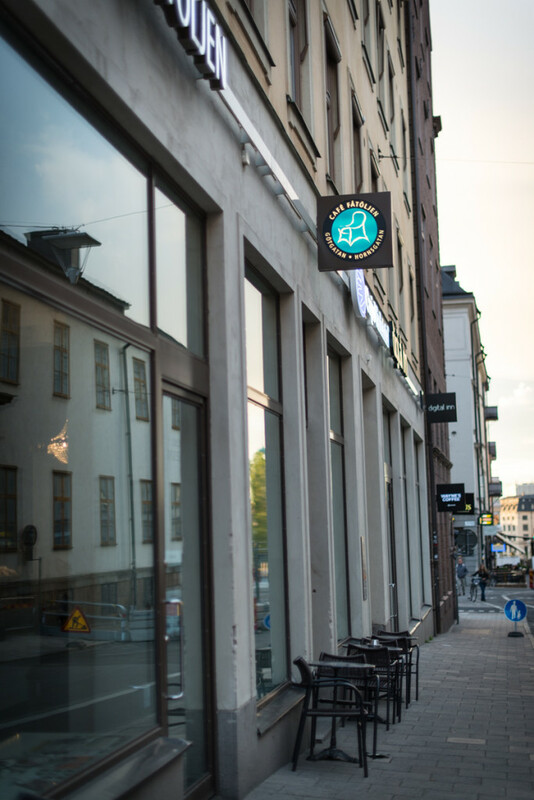 Konditori Eclair, Hornsgatan 104. Little but beautiful and despite we have absolutely no idea what exactly we ordered and ate… we just want more! Definitely worth a try: the Sarah Bernards and the been sting like muffins with chocolate covering. Yummie! Café Fåtöljen, Götgatan 12. 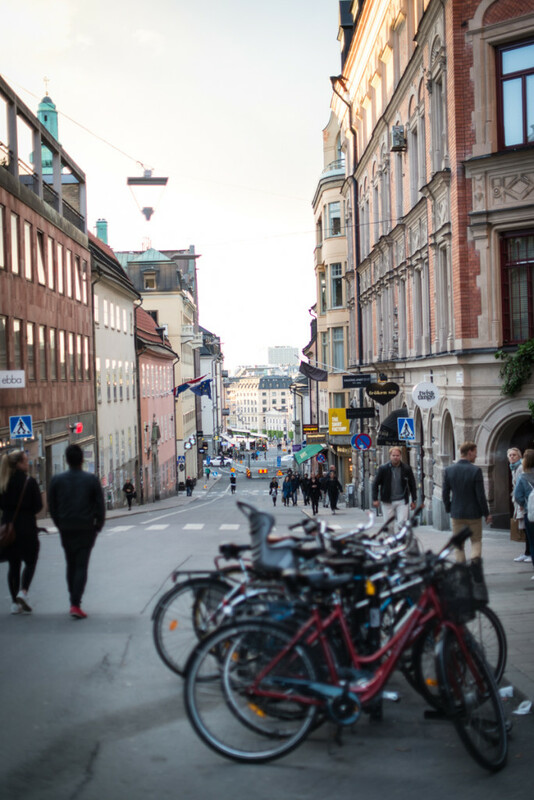 The locals seem to love this nice place in Södermalm – it is never lonely in this café. If you need a sugar break or want something for lunch we highly recommend the great selection of toasts. 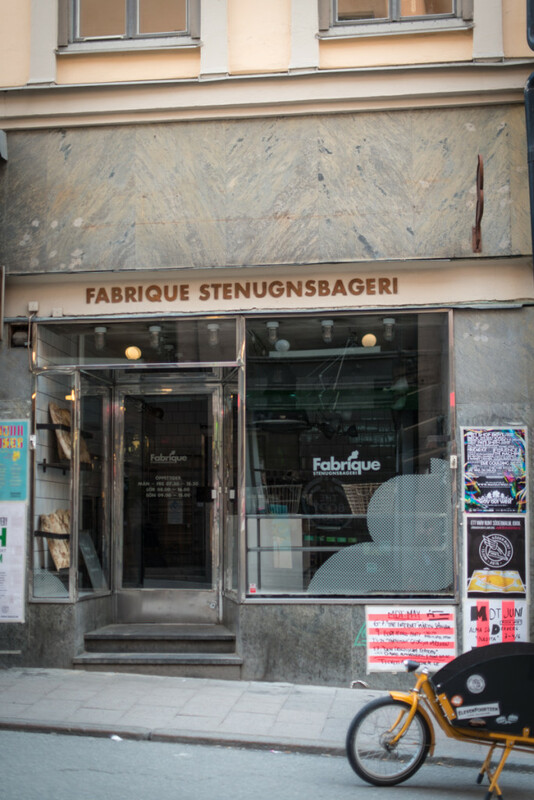 Fabrique Stenugnsbageri, Götgatan 24 and/or Rosenlundsgatan 28. 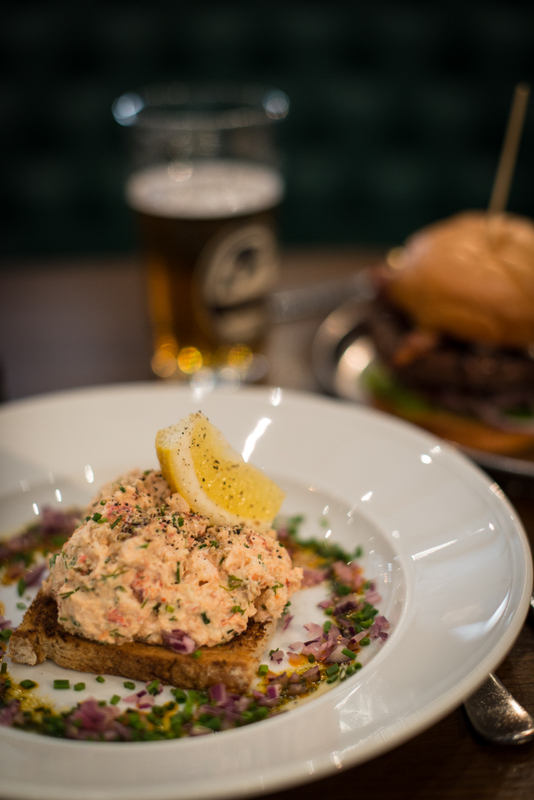 The best buns in Stockholm… you find them here! If you need a short break from the lovely cinnamon, try the cardamom buns. They are like little treats from Heaven! 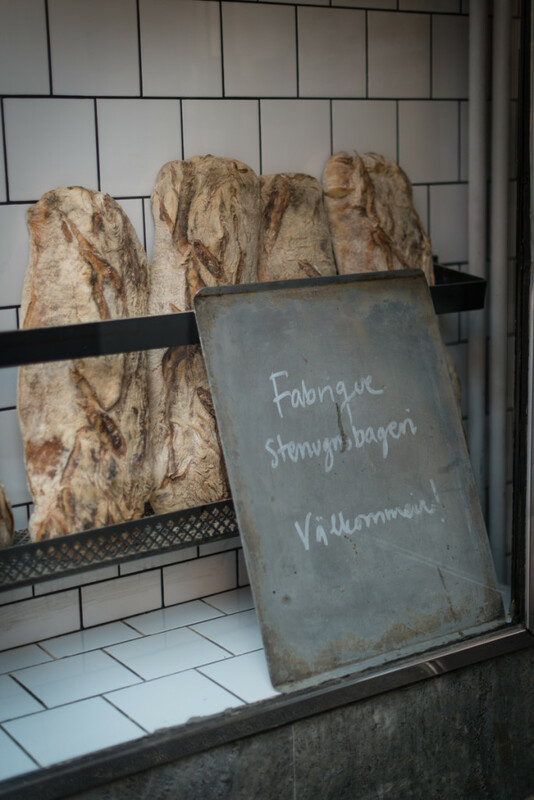 And since the buns are made out of sourdough instead of dough with yeast they are perfect for buying some as a souvenir for the trip back home. Konditori Vete-Katten, Kungsgatan 55. This ample café in the city of Stockholm is very comfy and everything in the display is absolutely delicious. No wonder the locals love it so much in here. 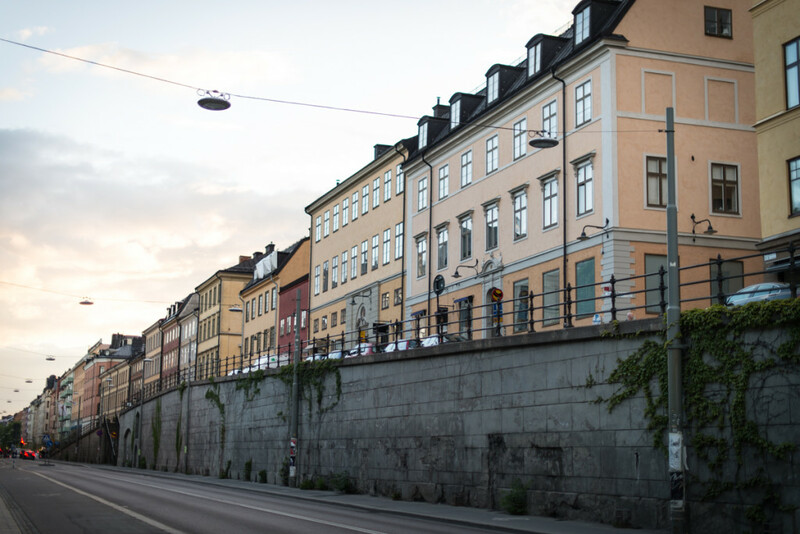 AD, Timmermansgatan 24. 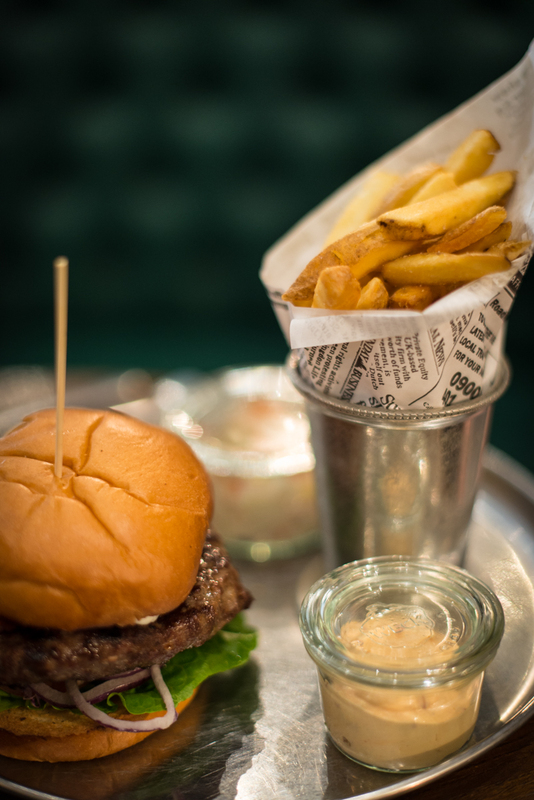 Just go there in the evening, sit down at the bar and order the 3 variations of burger with beef, pork belly and portobello mushroom with a few sweet potato fries and a smoky bourbon mayonnaise.. Watch how they cook it right before your eyes and be amazed by every burger on it’s own. Great! Akki Sushi, Folkungagatan 52 (?). Google shows a wrong address for this place and so we sadly almost didn’t find it. It doesn’t really help, that this place is so small, that they don’t have a sign outside or anything… But once you stepped in and ordered the Stockholm rolls with marinated tuna, sauce of the house, avocado and cucumber, you will not want to leave ever again. And you will be coming back on the next evening to order a bathtub full of sushi rolls. And on the next evening too. Very nice: Order sushi to go and take it to the look-out places at the water to enjoy the food with a view. Science Fiction Bokhandeln, Västerlånggatan 48. 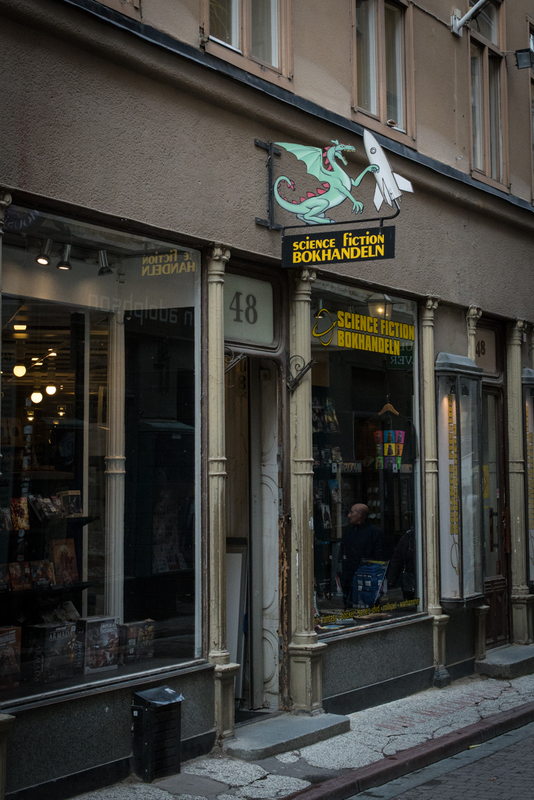 If you walk through the old town on your first vacation day and instantly find the geek Mekka of Stockholm, you can’t be anything else than happy! Here you find everything that you know you want: Books, comics, mangas, DVDs, blue rays, shirts, fan stuff, nonsense things you cannot live without anymore instantly and quite an amount of games (the „real“, analog kind of games) on the second floor. 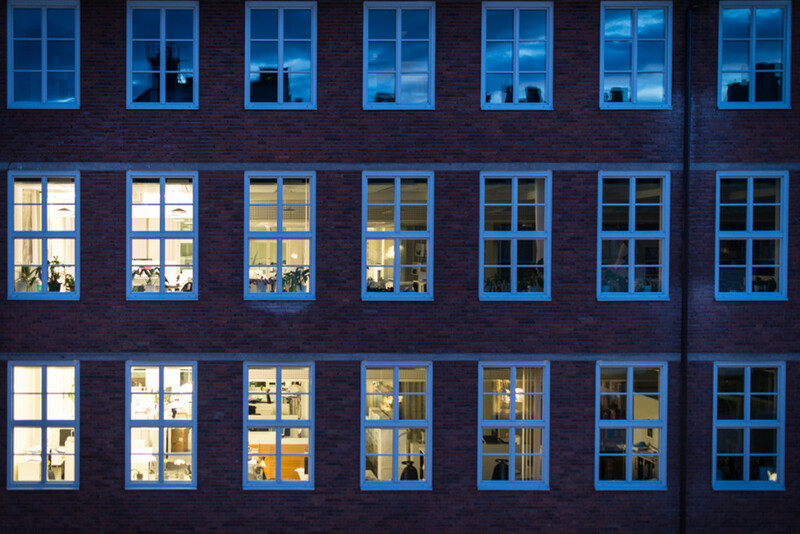 Don’t just stand outside and watch. Enter! Comics Heaven, Stora Nygatan 23. If you didn’t find the right comic in the Science Fiction Bokhandeln? Try this place! They have a huge selection of old and new comics in this small but very well-sorted store. Granit, for instance at Götgatan 31. Let’s move on to all the nice and beautiful things for your home cooking and blogging. At Granit they have very lovely things for the daily life. It is best to take someone with you who drags you out again before the major shopping phase hits you. Pen Store, Horngatan 98. Something for the graphic friends among us. This store has everything you need or want when it comes to pens and paper. 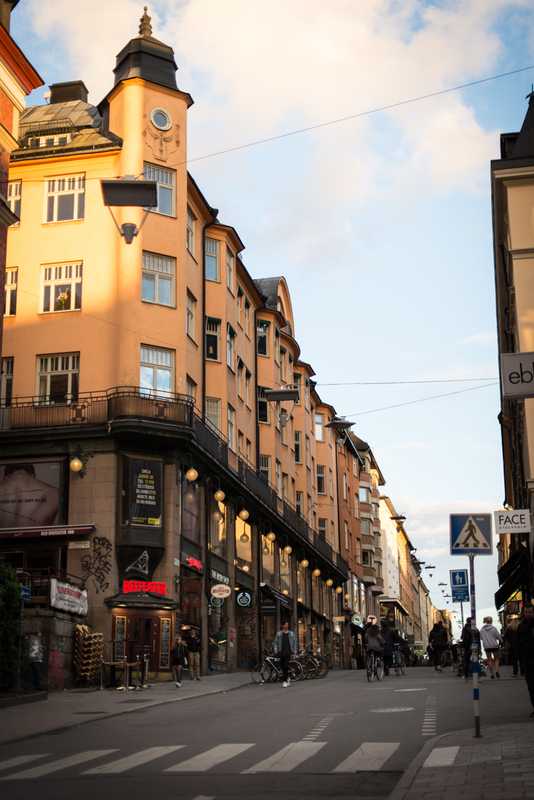 Maria Nilsdotter, Sturegatan 6. I just cannot go to Scandinavia without falling in love with the jewelry there. And here it happened all over again. 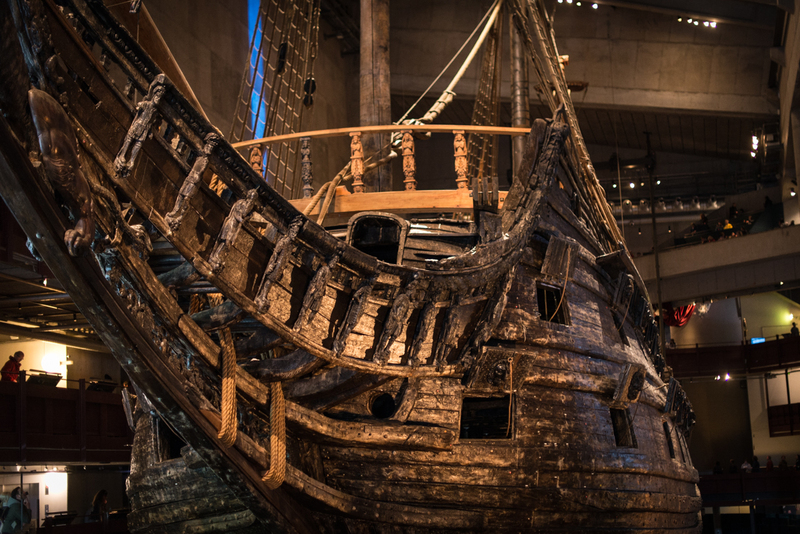 Vasamuseet, Galärvarvsvägen 14. 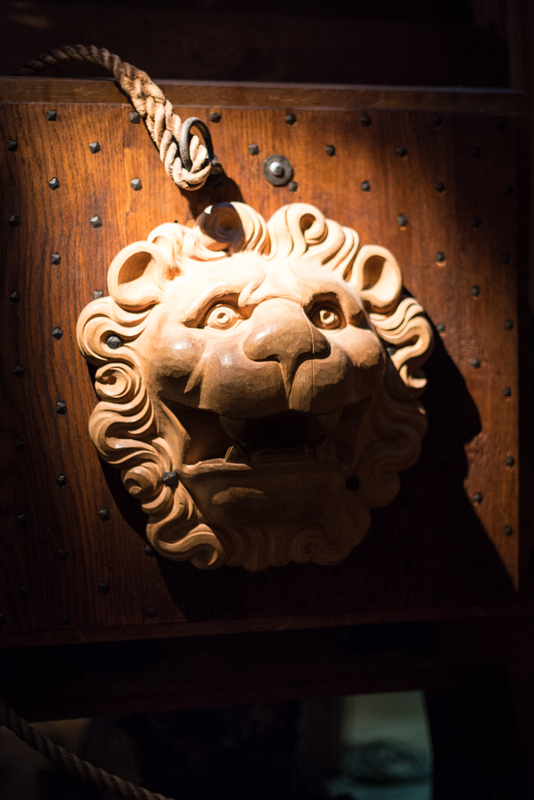 You have to visit the Vasa. Period. There really isn’t anything more to say. It is so awesome every time. Fotografiska, Stadsgårdshamnen 22. 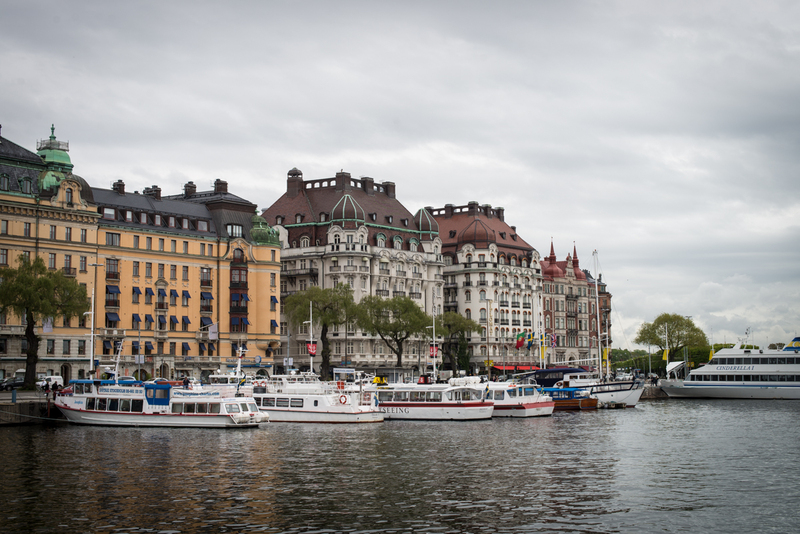 For me the absolute highlight of our trip to Stockholm – I even was considering going there a second time on the next day. Breathtaking and well chosen exhibitions that go under you skin. A lot of inspiration and new thoughts for your way back home. A must-see for fans of photography and the curious. We saw some amazing works of Nick Brandt, Martin Parr, Vee Speers and the Nordic young talent 2014. Skansen, Djurgårdsslätten 49-51. 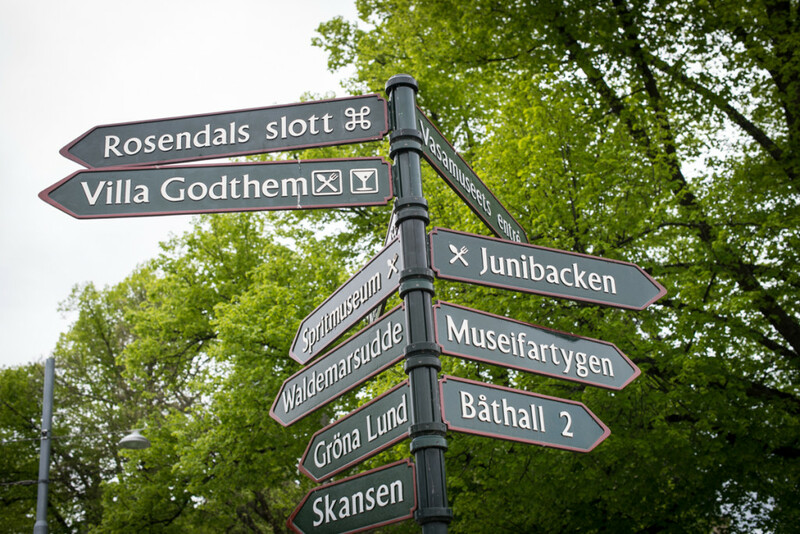 Quite embarrassing to recommend something you didn’t visit this time… The open-air museum Skansen is definitely worth a see and I would have loved it to go there this time again. But the feet din’t want to walk that far after five days of walking and on our last afternoon the weather didn’t play along as well as we hoped to. Hopefully next time!